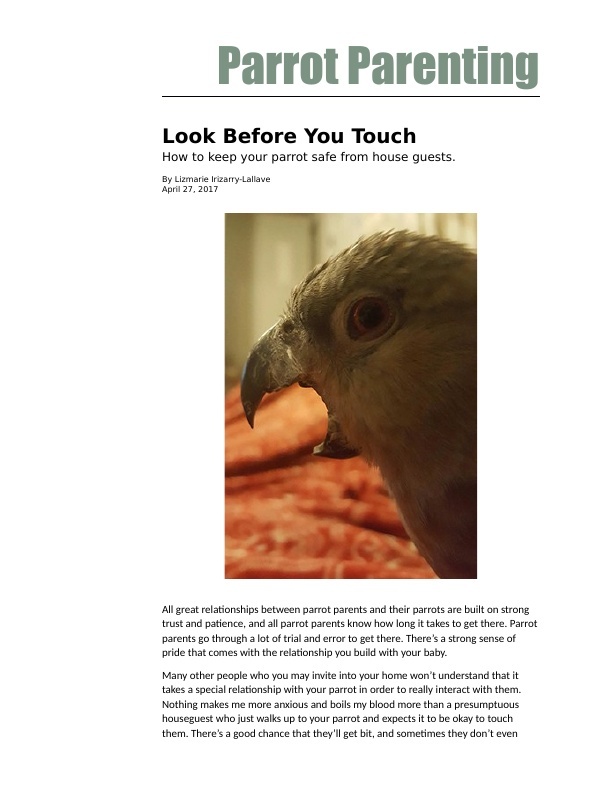 This is another blog post written for my imaginary "Parrot Parenting" blog. This post was written about how parrots can be protected when they meet new visitors to your home. © 2019 • All content within this entry is strictly the property of Lizmarie Torres-Irizarry, and is not for public use without permission.